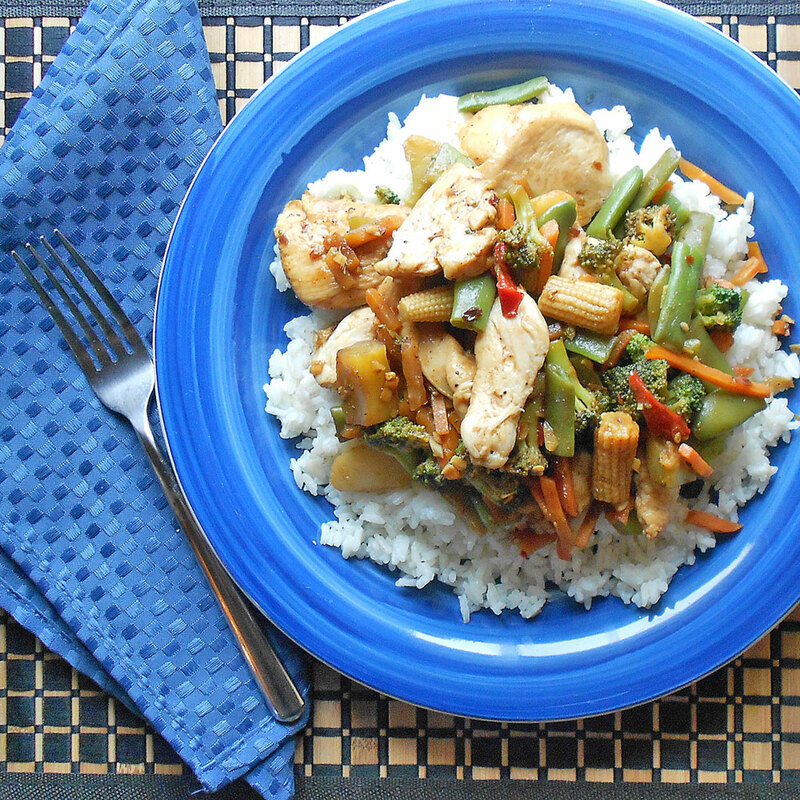 Behind the Bites: Spicy Chicken Stir Fry, Anytime! It’s 5:10 p.m., I’m at the grocery store and looking for something to make for dinner. This scenario plays out ever day in America – What am I going to make for supper? Most of the time, I start by looking for meat and fresh vegetables that are on sale. This time, I find a special on boneless chicken breast and decide to make a stir fry. I opt for a $2 bag of frozen vegetables to get a nice variety for a fraction of the cost of fresh ones. I then grab some fresh ginger on the way to the check-out. That is all I need at the store. 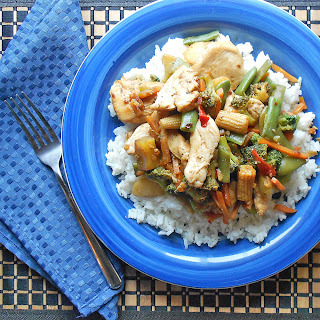 For this recipe, all other ingredients that will turn this into an Asian stir fry are at home in the pantry. At any time, I can turn meats and vegetables into a Mexican, Italian or Asian treat just by keeping a few items around in the fridge or cupboard. When I run out of a pantry item, I put it on the list just like bread or milk. All these items at once can be costly, but by planning and understanding the right ingredients to suit your taste, it is relatively easy to make a semi-gourmet meal like this whenever the urge hits. 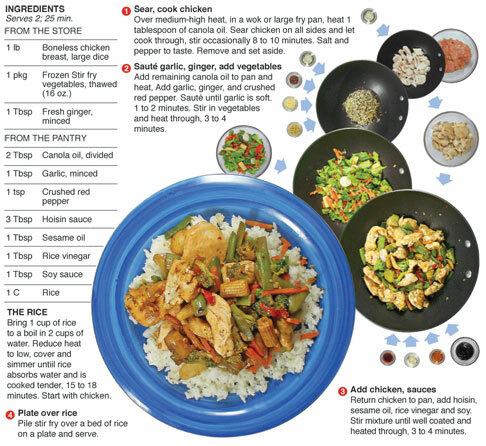 I had made an entirely different recipe for this week's column when I was at the store getting the chicken, vegetables and ginger for the stir fry. On the way home it hit me – what I was doing at the moment – is what millions were doing at the same time. I love to make gourmet meals, but I don't cook like that every time I eat. Most of the time, I'm looking to make something quick, affordable, somewhat healthy and tasty. Building a well stocked pantry is expensive initially. It becomes cost effective over time, because the hoisin and soy sauce go in the fridge, like ketchup, and the rice vinegar and sesame oil go in the cupboard. The next time you make stir fry, these ingredients are ready – and should last for a while. For me, The hoisin sauce runs out first, but a 9 ounce bottle should last for a few meals at least. From time to time, I am going to do more of these "stock the pantry" recipes. It's more about practical cooking rather than the newest take on mango-wango fondu. (Which is fun to create also) With these simple ingredients you can make an endless amount of meals with a delicious Asian inspired flavor.